Recently I wrote about the PURE study which followed over 135,000 people in 18 countries for seven years. It found that current dietary guidelines are essentially wrong as there was an increased rate of heart disease stroke and mortality associated with low fat rather than high fat diets. It therefore got little media attention. The results of another study got a bit more fanfare. We saw the launch of cholesterol lowering Weet-bix. This Heart Foundation logo will appear on the pack showing that it has the endorsement of that organisation. This new product has two grams of plant sterols added to the regular Weet-bix. This is where it gets really interesting. The clinical trial behind this was conducted on 46 (that’s right 46) people over a two month (yes two month) period. The group was divided into two and one half ate two of the cholesterol lowering Weet-bix a day for a month while the other half ate the regular form. After one month, the groups switched over. Apparently, those eating the cholesterol lowering variety had lower cholesterol at the end of the period, but the researchers did not say by how much. Previous research has shown that two grams of plant sterols can lower LDL (so called “bad”) cholesterol by up to 9%. The claim of lowering cholesterol by up to 9% is on the pack even though we do not know if the trial of the 46 people showed this. Yet lowering cholesterol (even if one accepts the cholesterol theory of Ancel Keyes) is not the same as lowering rates of heart attack. Separate work has shown that whilst plant sterols can lower cholesterol, they actually increase the risk of heart disease! Which could raise the question, why is the heart foundation supporting this. According to the Foundation’s website;” Over 35% of Australians are more likely to buy a product if it has the Heart Foundation logo on it. Leveraging the Heart Foundation’s brand and ownership on aligned products and services in the health and wellness space, provides our potential partners with the chance to increase sales and associated brand awareness”. The website also claims that it “…offers our corporate partners a range of effective commercially beneficial methods of engagement”. Clearly Sanitarium has decided that it will get value for the money its spends on this partnership. The CEO of Sanitarium was quoted on inside FMCG as being “thrilled” by the launch of the product. It was also hailed by the lead researcher at the University of South Australia which did the trial. Much of the push against consumption of red meat is driven by fear of cholesterol as is the push to eat more grains. If you cut out red meat you are part way to a vegetarian diet. The Seventh Day Adventist church believes in a vegetarian diet. It owns Sanitarium. Consuming breakfast cereal dates back only recently in human history to the time of John Kellogg who founded the company bearing his name. He also was a director of Battle Creek Sanitarium in Michigan which was founded by members of the Seventh Day Adventist church who Kellogg later fell out with. Edward Halsey, a baker from the Battle Creek Sanitarium was persuaded to migrate to Australia by a fellow Adventist. Halsey produced the forerunner to what is today Weetbix for the company that became Sanitarium. Those who want to read more about the connections between dietary guidelines and religion should click here and here where investigative journalist Marika Sboros’ goes into some detail. Putting that to one side though, the issue remains that a study on 46 people with unknown results is the basis for making health claims about a food. Add to this that while plant sterols can lower LDL by up to 9% it does not lower the risks of heart disease and may actually increase it. More concerning is that the endorser openly promotes that its endorsement can “increase sales” without declaring how much is paid for this privilege. One of the criticisms of people like Dr Aseem Malhotra, Dr Steven Sinatra or chef Pete Evans who promote eating real food rather than processed grains, is that they have books and products to sell. This is somehow meant to mean their message is devalued. Yes, they, like me, have a book to sell. This is very open and those who buy one know what they are paying and to who. This is called transparency. How much transparency is there in the relationship between the Heart Foundation and Sanitarium? I would say none. It is worth adding that the Dieticians Association of Australia also promotes itself to corporate partners. 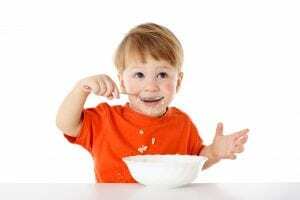 Whilst some individual dieticians are starting to stand for what is right, the association has given prominence to its supporters who generally manufacture foods from processed grains. It opposes diets such as Paleo for “cutting out entire food groups” such as grains or dairy. It does not criticise vegetarian or vegan diets which also cut out entire food groups. Conflicts of interest abound in health. The connections between religious beliefs, food companies and third parties who provide endorsement to “increase sales” for a fee are disturbing and opaque. We don’t know what are the real motivators here. We don’t know how much money is involved. What can we do in these situations? The answer is go back to basics. As I have written before, eat mainly real food. This is food which till recently was moving or growing somewhere. Foods which do not have labels and which do not need claims. Foods which do not get ticks, stars or elephant stamps. And as always be questioning of advice from officialdom.